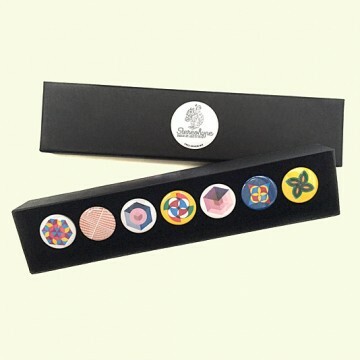 Badges by Fred Deakin from Stereohype's B.I.O. Series 15. Single badge SKUs: B1079B15, B1080B15, B1081B15, B1082B15, B1083B15, B1084B15, B1085B15.